Some of you may remember Greed Monger from a few years ago. 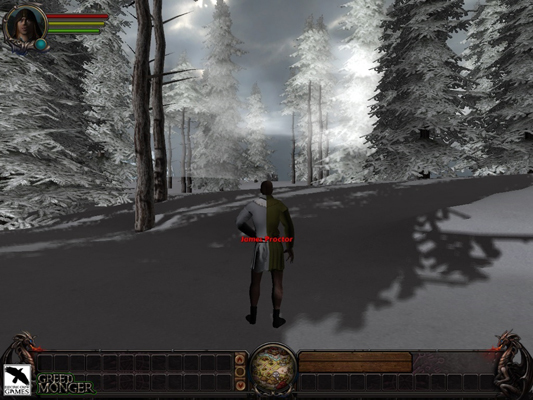 It was one of the earlier Kickstarter MMO projects to be funded. Perhaps it was during the Golden Age of Kickstarter – where anyone with a silver tongue and an idea could get funding for their game project without much scrutiny. Jason M. Appleton, someone who has experience in the business world, was able to get his dream MMO Kickstarted with lots of sugary words and a dream, a dream of a real money economy MMO where land was purchased with cash and had meaning because of it; almost in the same vein as Project Entropia but with a fantasy setting. Things are different now, and perhaps Greed Monger can be considered a good example of why. Yesterday, on April 5th, it was announced via the Greed Monger forum and Kickstarter Page that Jason M. Appleton, the original creator and owner of the project, that “Papers have been signed.” This was in reference to Greed Monger being handed over to James Proctor and Joel Hager. For those following the project, it could be argued that the project had been in James’ hands since day one. Jason had no experience with game development and relied heavily on James’ help and knowledge to get the game development going. Greed Monger has been something I’ve had an eye on since I stumbled upon its Kickstarter page when the funding was still in full swing. I even had one of the earlier Q&A’s with Jason. Perhaps I should have been more critical in my questioning, asking how he could possibly get a project of this scale up-and-running with so little experience with any form of game development. Heck, if you’ve ever been to any game development forum, newbies are constantly told, “Do NOT start with an MMO!” because, unless you’re using one of those “MMO Creators,” it’s just too hard for a newbie. In the statement that was released, Jason explains some of the issues with the game. One of the problems he mentioned was the pressure from various gaming communities. On our Friendly Competitor Website (Which perhaps shall not be named? ), which may or may not be infamous for a community that likes to dish out all they can on various games and/or persons, Greed Monger has been a favored target for as much negativity as can be generated on the Internet. Right from the gate, they (and various other online communities) had formed a witch-hunt of sorts to track down and figure out exactly who Jason M. Appleton was and do their best to discredit him. Anyone would wither under those conditions. This may have a few people worried. Is it legal – or just right – to do such a thing? Create a Kickstarter and then throw it on the shoulders of someone else, liability and all? Jason is, from what I’ve been able to see and read, much more business-savvy that James. Joel apparently has experience in business and PR. Some might worry that problems may arise due to this change in ownership from the original Kickstarter creator to the former (and now co-owner) Lead Developer. 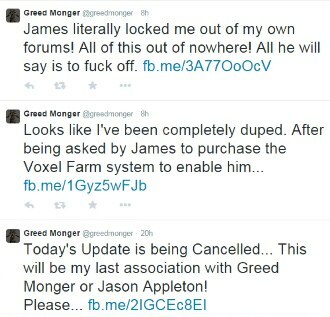 Perhaps it won’t be an issue – James is definitely loved within the Greed Monger community, and I haven’t seen much hate thrown his way from anyone. He’s a genuinely nice, maybe dedicated, possibly not capable of developing an mmo, guy. Needless to say, I have my worries. And perhaps you’re wondering what sparked this, from our point of view, sudden change in ownership. Jason simply mentioned this in the statement: “After 3 years of working with James Proctor, the ups and downs, learning, trials and errors, he decided to leave the game in a very abrupt way that shocked me and everyone else.” A bit of digging would lead you to this thread where the Community Manager (known as Derium) posts about an apparent “meltdown” by Jason which resulted in the banning of James from the Greed Monger forums. Darium continues on, saying that there are no devs currently working on the project and the project has failed to meet any obligations. He pleads with backers to do “what is right” and make some noise about what was happening. This post was made on 4/04/2015, one day prior to the “Papers” being signed. In the end, I think we can agree that these past three years have been a bit of a mess. Over six-hundred backers (perhaps more via the Greed Monger website crowdfunding) have waited three years for certain goals to be met and so far they’ve been left high and dry. Who knows who is to blame. Perhaps it was a culmination of dream-smoke, hope, and wonderful speeches mixed with inexperience. Personally, I don’t think there was any attempt to “steal the Kickstarter money” on Jason’s behalf, because he often likes to mention how much of his own money he’s put into the project, and I have no reason to doubt that he has. I believe it’s an issue of inexperience and a small team equivalent to a modding project that never gets quite finished. Either way, perhaps now Greed Monger can finally get somewhere in its development. Perhaps it won’t. It may be interesting to note that Jason originally wanted to hand the project over to an Interdiction Studios. However, that seemed to have fallen through within a 24 hour period. How do you feel about this news? Do you feel that Jason should have signed the project (and all liability) over to James? Do you think James may have been ‘tricked’ into taking all the blame and potentially the incoming sue-storm? Do you think the project will get somewhere now? Vaporware? Scam? Tell us. To be honest, this whole issue makes me sick to my stomach. Hello. 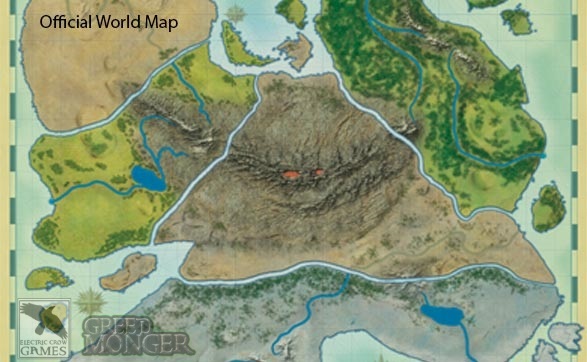 MMO Interactive is committed to ensuring the KickStarter backers get what is theirs. Jason will be sending Joel the remaining T-Shirts and once we get them we will ensure they are sent out in a timely fashion. We are dedicated to getting things moving in the right direction again. The vast Majority of GM’s old team that we had when I left have followed us and are back at their posts. Our current team even consists of some old faces… Derium is back at his post as our Community Manager. We are in the process of doing some networking with individuals and companies in the industry to put us in a much better spot to see this game launch. We are pushing forward with GM and we encourage and look forward to the feed back of the community both positive and negative so we can make GM the best it can be. Right on! Glad to see you guys are excited and motivated for the game and want to get it done.